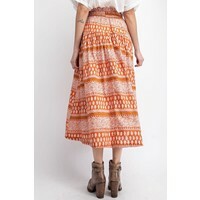 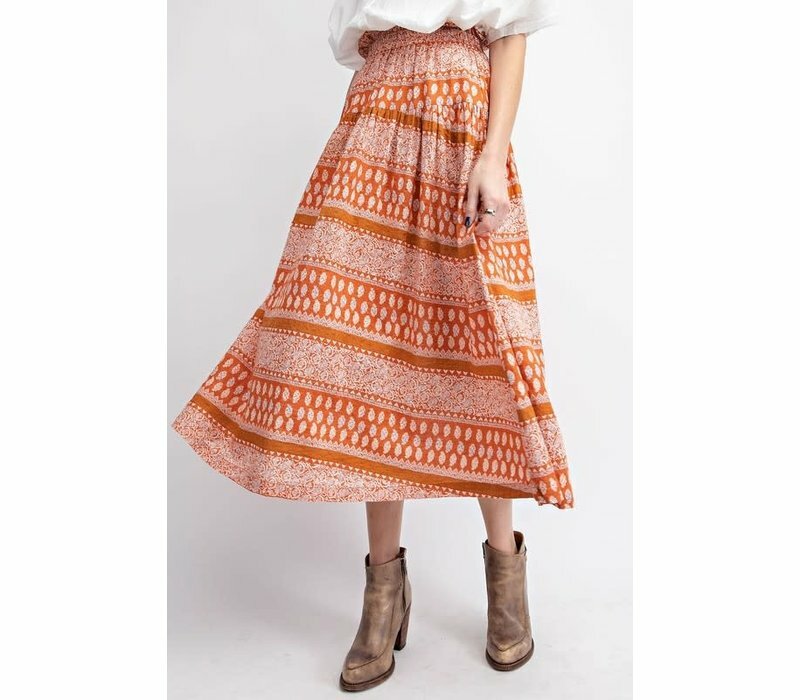 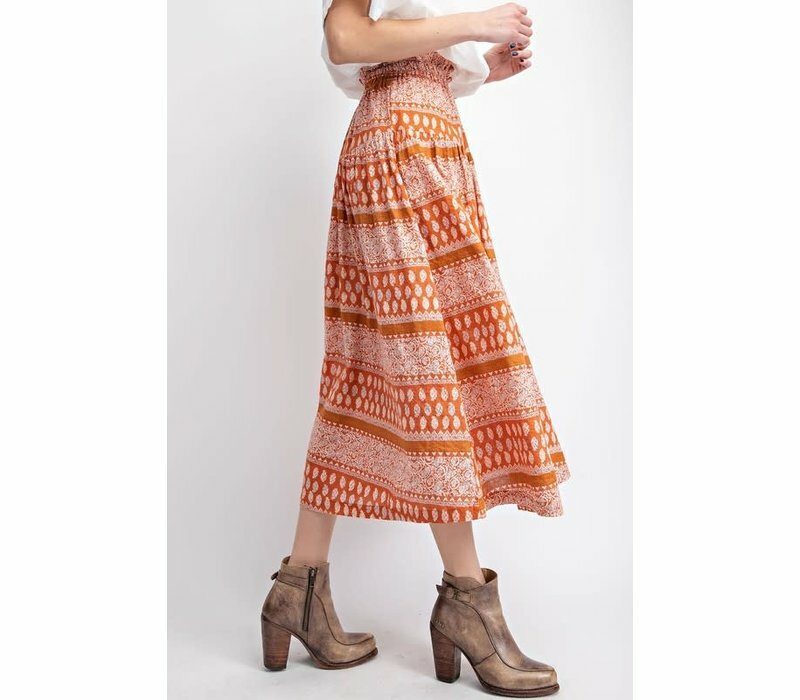 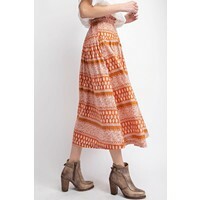 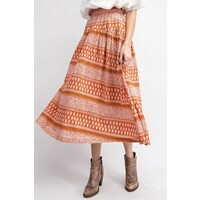 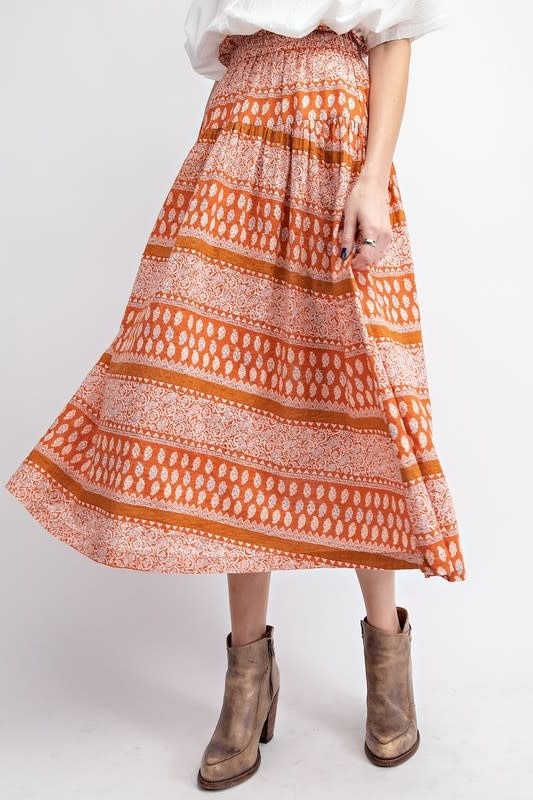 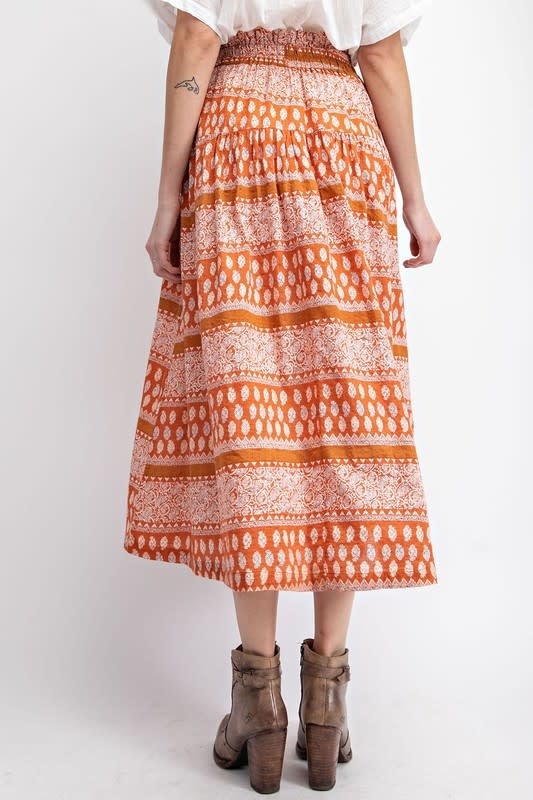 Effortless orange print boho skirt in a midi length; making it perfect for any height. Loose, flowy fit. 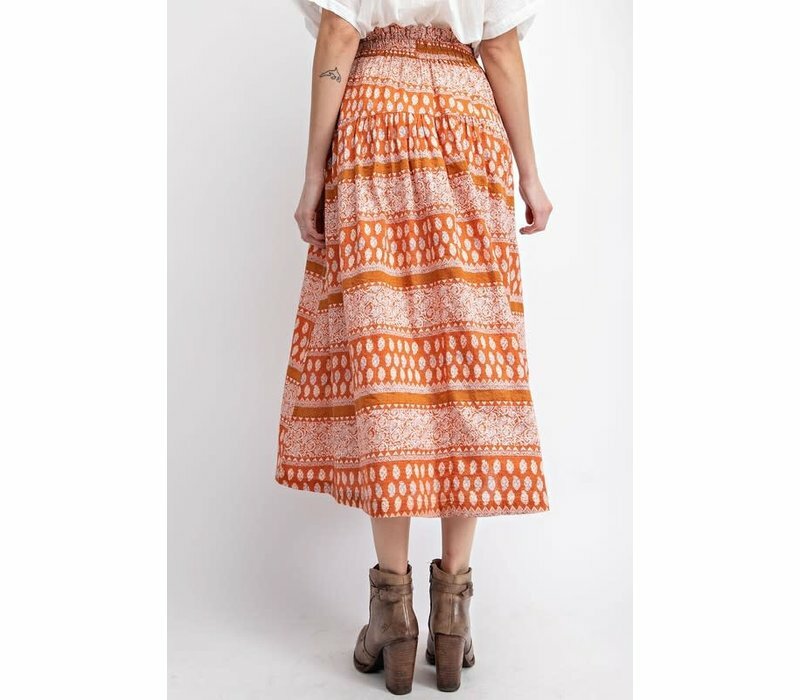 Comfy smocked waist band.